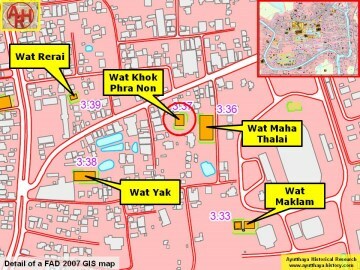 situated off the city island in the eastern area of Ayutthaya in Phai Ling Sub-district. 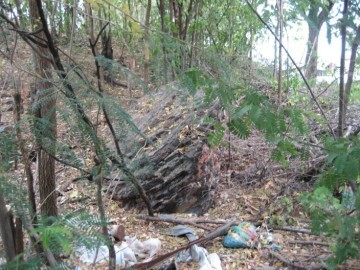 Mongkhon and north-west of Wat Maklam. 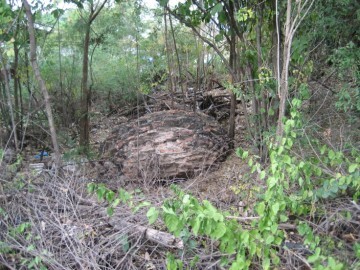 were undone of bricks and to be sold to contractors from Bangkok. 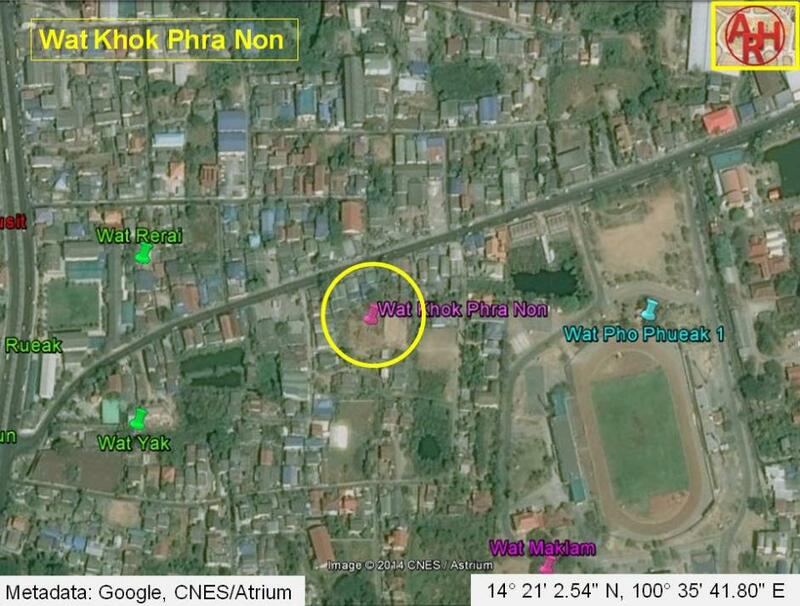 2.54" N, 100° 35' 41.80" E.
The 2007 GIS map indicates the site of Wat Maha Thalai next to Wat Khok Phra Non. 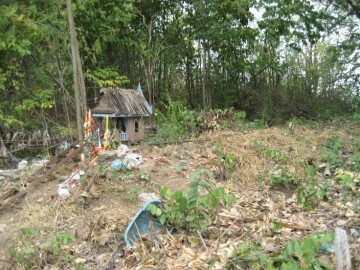 premises of the Provincial sport complex.